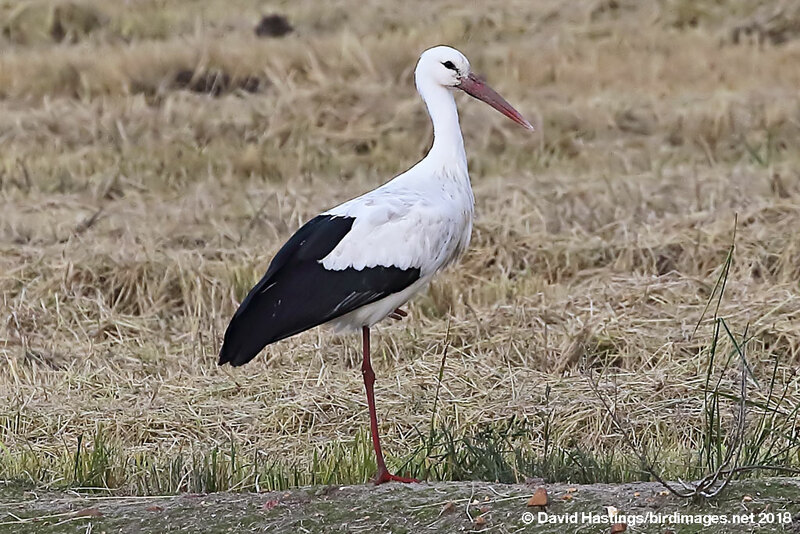 White Stork (Ciconia ciconia). Taken at Extremadura, Spain, on November 15th 2018. Taken at Extremadura, Spain, on November 15th 2018. White Stork (Ciconia ciconia). Taken at La Janda, Spain, on November 6th 2016. Taken at La Janda, Spain, on November 6th 2016. A large bird with black and white plumage, a red bill and red legs. Its stronghold is in eastern Europe, also in Spain, the Balkans and Turkey. It is an occasional vagrant in the British Isles. It breeds in open farmland with access to swampy rivers, marshes and floodlands. Nests are often built on house roofs, church towers and telegraph poles. Artificial platforms are also used. White Storks are gregarious. They spend the winter in tropical or southern Africa, and return to Europe in April to breed. 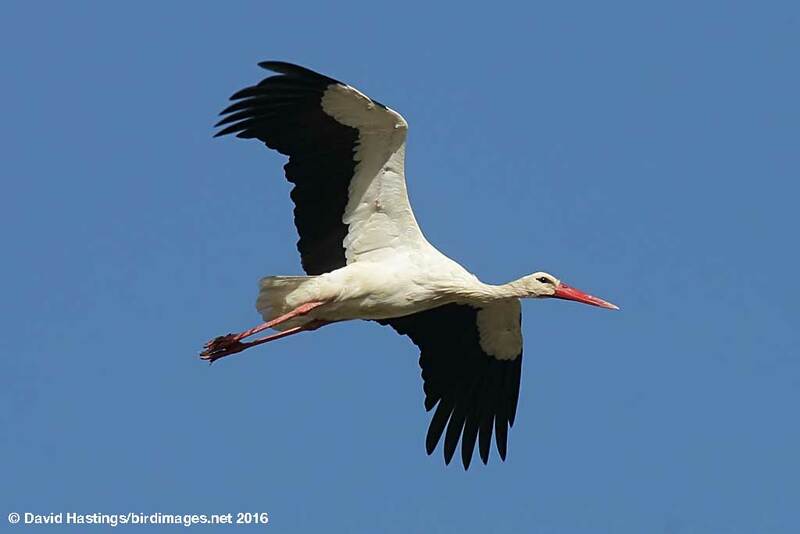 The White Stork is of Least Concern on the IUCN list.